Major art fair Art Central is ready to inundate the city with exhibits from 107 galleries, 32 of which are joining for the first time. The five-day fair, returning for its fifth edition, maintains a focus on Asia-Pacific, says managing director Charles Ross. And three of the top five countries taking part are from the region - Hong Kong, Japan and Korea. The other two are United States and Britain. The region's galleries taking part make up 75 percent of the total. "We have worked hard to improve the overall quality and encourage galleries to present more thoughtful showcases, which helps the audience to understand the artists' work in a broader perspective, rather than as individual works to collect and take home," said Ross. The selection committee evaluates applications based on the strength of galleries' proposals, with exciting curated or solo presentations being given priority. "We have also broadened the spectrum of artwork and price points so there is something for everyone to appreciate and acquire, whether a young enthusiast looking for their first piece, or a long-time collector hoping to add on some great work." The fair is once again collaborating with the 4A Centre for Contemporary Asian Art from Sydney for its thought-provoking segment. The venue will be "interrupted" by daily on-site interactive performances by four artists across the Asia-Pacific region tapping into the passing of time and the exhausting state of perpetual busyness. "We seem to spend hours on screens, unending time at work and only have snatches of time for family and ourselves," said center director Mikala Tai. "Reflecting on this, we have asked four artists to respond to time and the resulting performances consider ideas such as perpetual tiredness and the reality of 'fast food' culture. We hope that the audience will be challenged to think about how they spend their time." So instead of conveying a message to the public, the performances rather pose a challenge to reflect on priorities and the importance of spending time wisely, Tai added. Canada-based Hong Kong artist Ko Siu-lan encourages people to respond to Hong Kong's reality, where the lived experience is marked by expectation of change in the 50-year transition period, using her text-based interactive sculpture with three spindles. Inspired by cylindrical prayer wheels found in temples, it has words describing the city's political trajectory printed on each spindle. Having worked in Tibetan regions, she found the prayer wheels intriguing, especially the gigantic ones. "The circles, things that rotate, have always fascinated me," said Ko, whose previous installations also incorporate rotation and circular movements. "Perhaps because it has no beginning and no end, no sides and all sides at the same time." Depending on the angle and where you stand when rotating the banners, eight sentences can be seen, such as "Hong Kong is Hong Kong" and "Hong Kong is China." The discourses are in flux and its meaning can be contradictory. 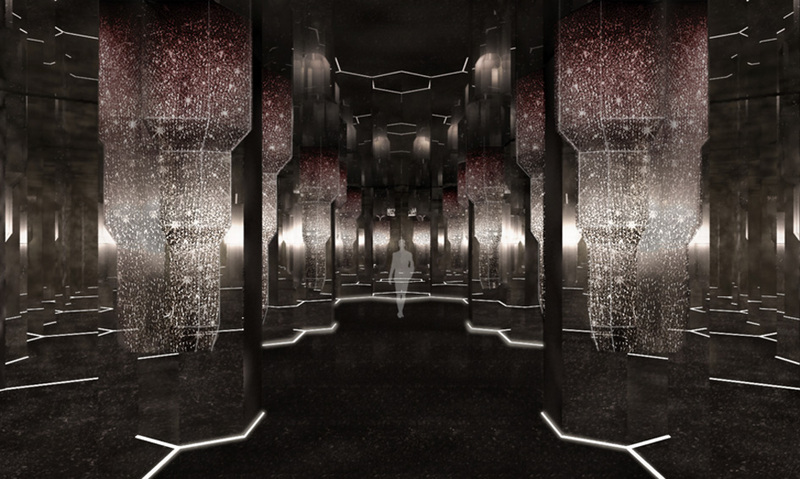 "The installation is not a description of the relationship between Hong Kong and China. It is rather an expression of the dilemmas and feelings that I have been experiencing myself as a Hongkonger, and as a witness to the changes that Hong Kong has been experiencing over the years," said Ko, who wants to respond to the changes and problems that the city and its people have been through in the past few years socially, politically and emotionally. "The sentences created by one person could quickly be interpreted by another. It might be fun for some. It might be frustrating for some. No one gets to have the last laugh." 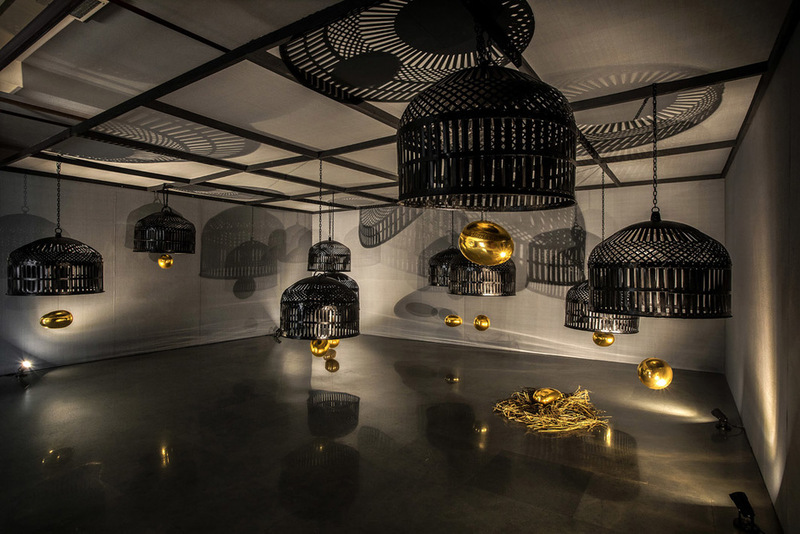 The Projects sector curated by Ying Kwok is dedicated to large-scale installations by six artists, which is set to look into cultural narratives. 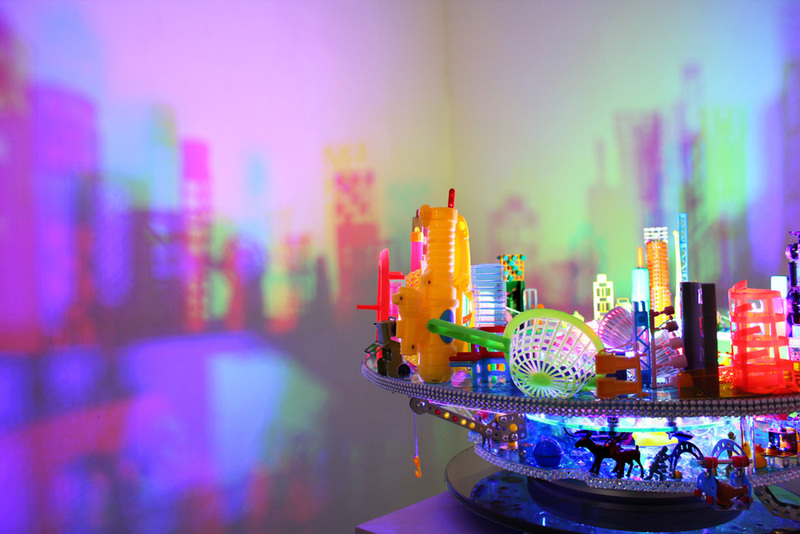 Local artist Angela Yuen, who explores the correlation between urban development and values of the city, brings a fresh perspective by making use of recycled materials to create her installation City Rhapsody - Project Roseate. The fair program also has a series of talks and panel discussions featuring both art practitioners and artists. Ross expects the admission numbers at this year's fair, from March 27 to 31 at Central Harbourfront, to be consistent with previous years' figures.